-As part of our Green School Travel theme, a Cycling Course for parent’s, facilitated by a Green-Schools Travel Officer, will be held in the school this term. This workshop is a free event. 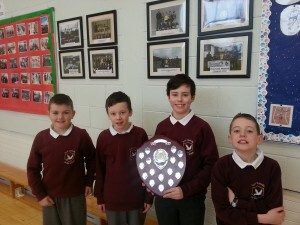 -The County Finals of the Eason’s Spelling Bee will be held in Kilmacrennan School this year. The event is scheduled for Wednesday, 6th May. -First Holy Communion is on Saturday, 9th May. -The Kilmacrennan 5k Event is scheduled for the 12th May, 2015. Quiz teams at All Ireland Final. 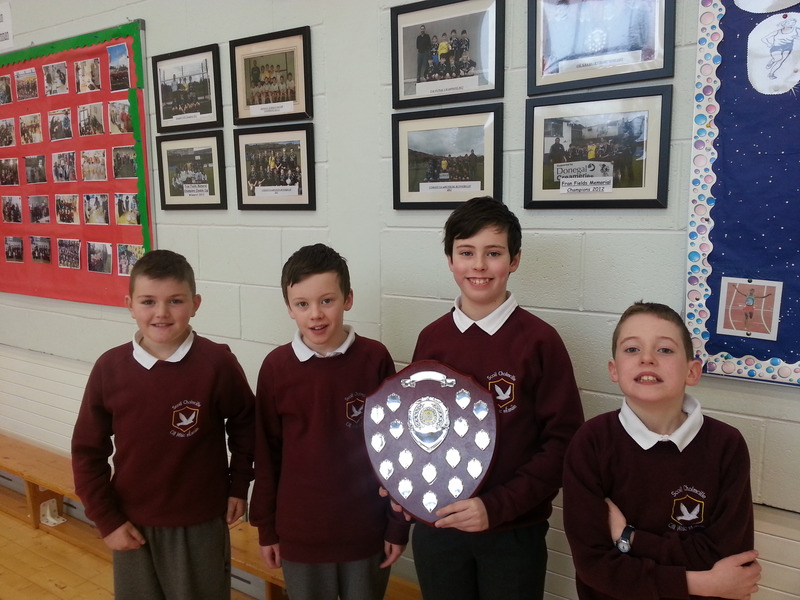 For the second year running, both our U-11 and U-13 Quiz teams emerged from a tough competition in the Letterkenny District quiz to qualify for the Chapter finals. 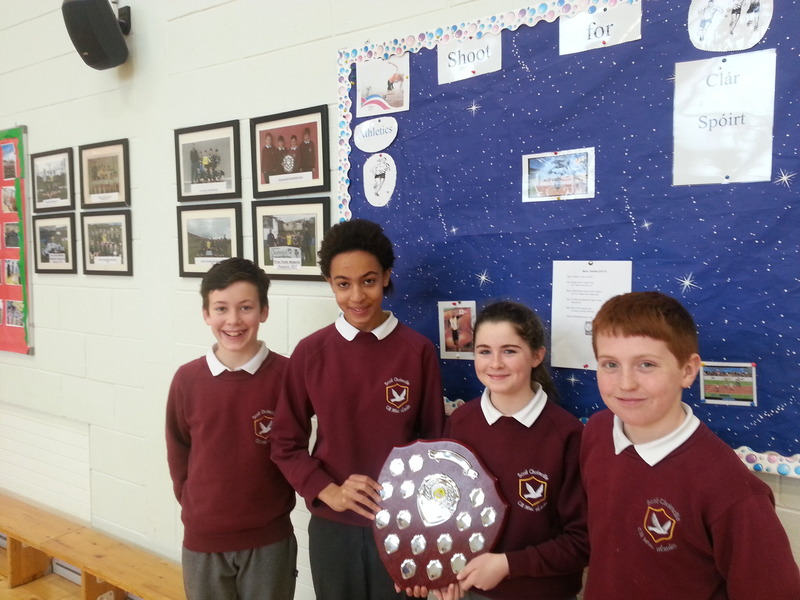 After a tough contest with teams from Donegal, Derry and north Tyrone, both teams qualified for the All Ireland Quiz Finals at the RDS in Dublin. Brian Dowling was quizmaster on the day. After a tough challenge that tested the best brains in the country, our U-11 team finished in fourth place while our U-13 team finished joint tenth. This is a magnificent achievement considering that 5,500 teams entered the event. The U-13 team; Manus, Meabh, Ciara & Eamonn.